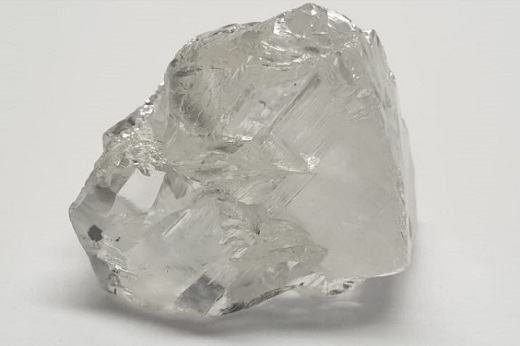 RAPAPORT... Lucapa Diamond Company has extracted 1,502 carats of rough during testing at a new alluvial diamond source adjacent to its Lulo mine in Angola. The yield included 17 stones weighing more than 10.8 carats each, as well as a 55.30-carat, D-color, type IIa stone. The average diamond size was 1.40 carats, Lucapa said. The new source is located in the previously untested flood plains at Lulo. Lucapa has previously only mined from the nearby terrace deposits, which are located along the Cacuilo River valley. Based on the results, the miner will also begin testing other flood-plain areas at Lulo, it added. “The positive results from the first of these flood-plain areas tested…demonstrate the potential to open additional and expansive new mining areas at Lulo,” the company said.